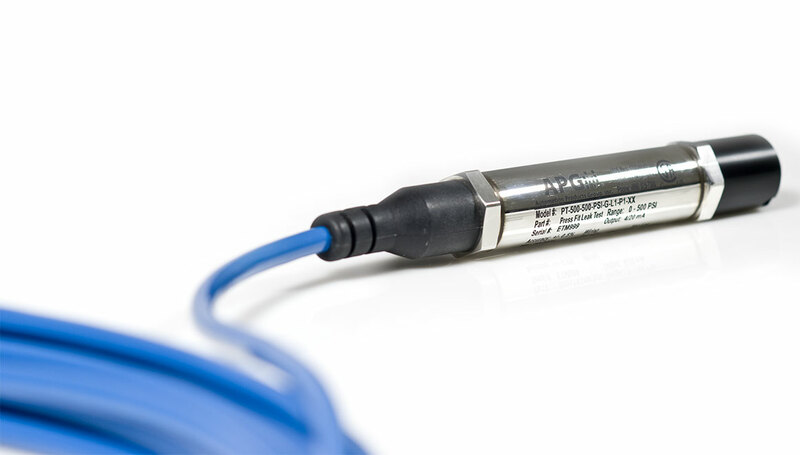 The PT-500 is a submersible pressure transducer for the measurement of water level in a variety of applications. With ATEX approval the sensor is also suitable for the measurement of water level in potential explosive environments. 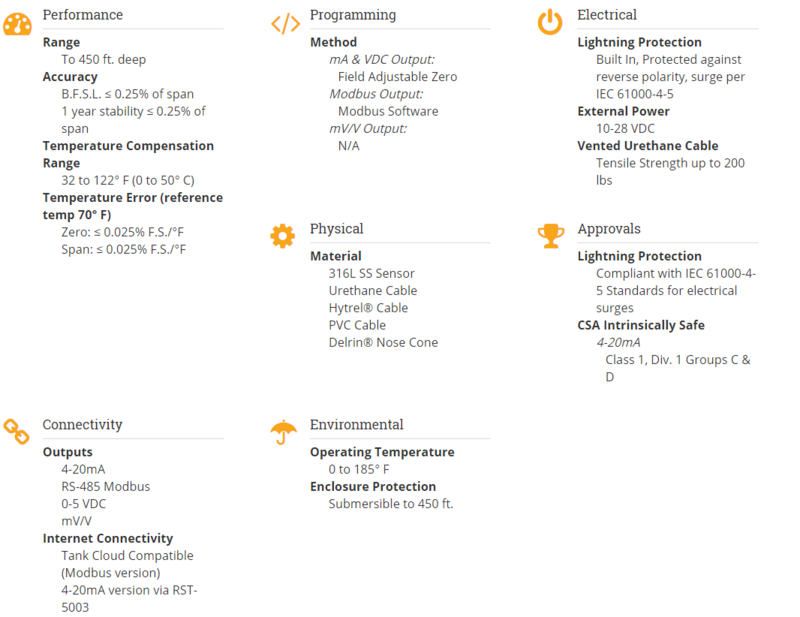 A variety of outputs are available from the PT-500 including 4-20ma, Modbus, or 1 - 5vdc. With built in lightning protection also ensures that the sensor is protected against potential strikes. A built in zero calibration function also allows for the sensor to be calibrated to the zero point with a magnet, making it simple and easy to recalibrate when operating in the field.